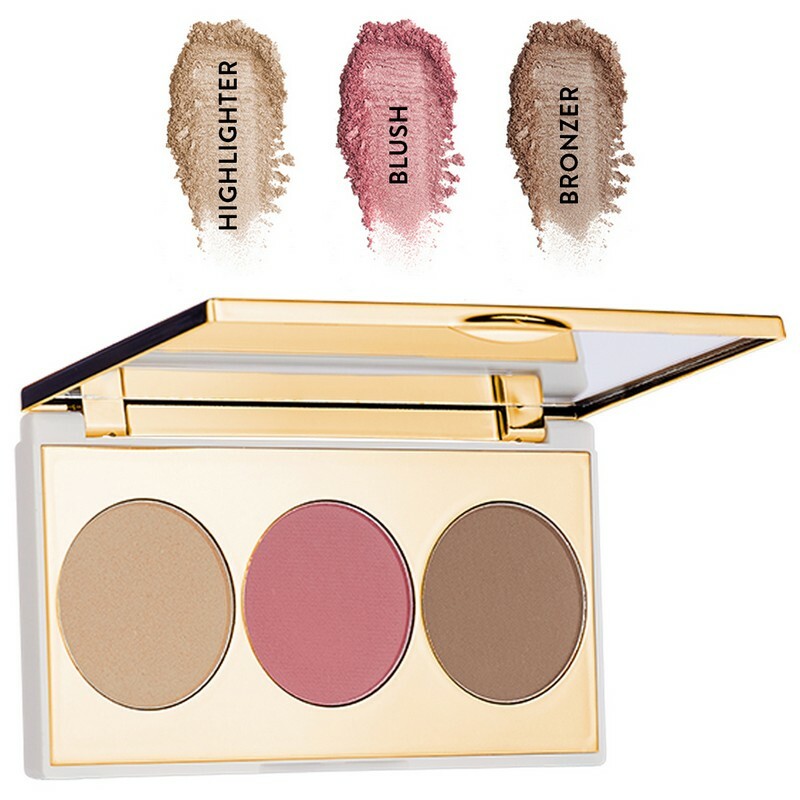 A 3-in-1 makeup palette with a dark brown bronzer, dull pink blush and a yellowish-orange highlighter. The powders, when used together, define facial features and impart a well-sculpted look to the face. When used individually, these powders give a fresh and bright look to the complexion. - Apply the bronzer along the hairline, jawline and under the cheekbones. 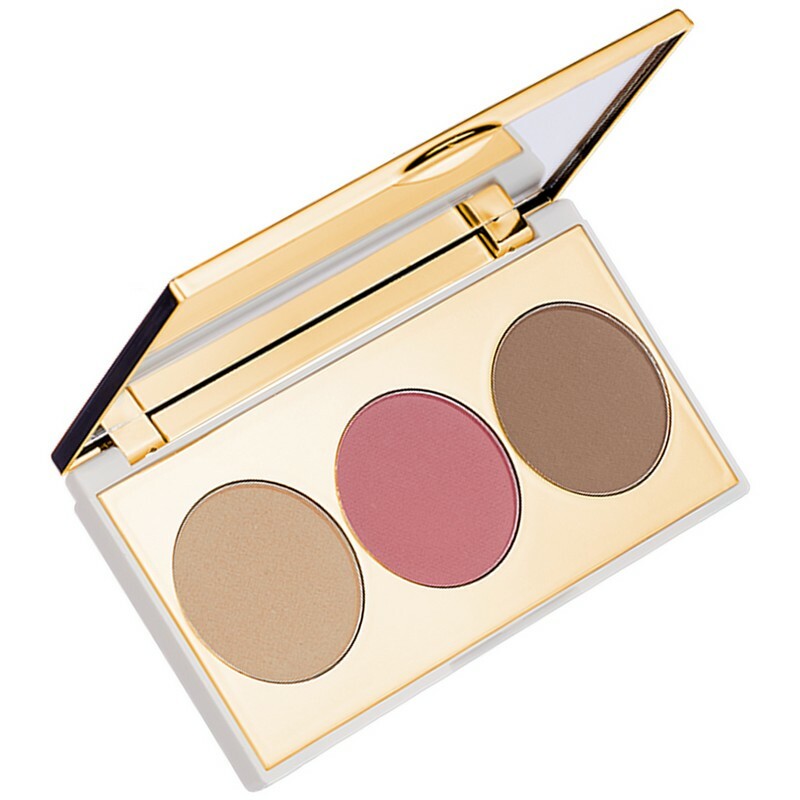 - Apply the blush on to the cheekbones above the bronzer and blend. - Sweep the highlighter on to the cheekbones above the blush and along the T-zone (centre of nose and forehead).